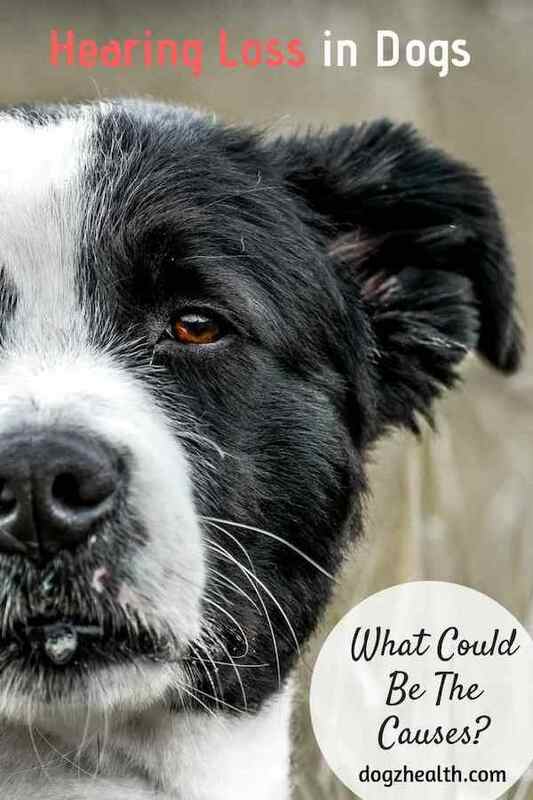 Hearing Loss in Dogs | What are Some Causes of Deafness in Dogs? Hearing loss in dogs can be congenital (i.e. the dog is born deaf), acquired (i.e. caused by certain health issues), or due to old age. This page looks at the symptoms, causes, and diagnosis of canine deafness. Dogs have acute hearing. They can hear very faint sounds, noises at high frequencies, and can detect even very slight changes in the tones of sounds. Because of their acute sense of hearing, dogs rely on their hearing much more than on their eyesight in their day-to-day survival. 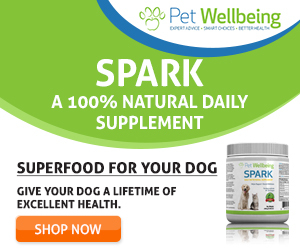 For dogs to hear properly, the sound-transmitting cells in the ears and the sound-interpreting cells in the brain must be intact and functioning normally. There are several causes that can result in canine deafness. Let’s take a look at each of these causes below. Some dogs are born without the ability to hear. For some reason, their hearing apparatus is not well or fully developed. Puppies usually can respond to sound around 11 days after birth. You can check if your newborn puppies have congenital deafness after the 11th day. Congenital deafness can affect one or both ears. If your puppy is deaf in only one ear, it may be difficult for you to even notice the problem. Interestingly, dogs with white or merle coats are predisposed to congenital deafness, with Dalmatians at the highest risk. Ear Infections: Sometimes, ear infections (especially if both ears are involved) could cause hearing loss in dogs. In many such cases, the hearing loss is temporary and the dog can hear again once the infections are under control. Hypothyroidism: Hypothyroidism in dogs affects many functions in the body, sometimes that includes the dog’s hearing. Other symptoms associated with hypothyroidism is weight gain, joint pain, weakness and lethargy, and recurring ear and skin infections. Brain Tumors: Brain tumors are quite common in older dogs, and sometimes a tumor in the brain could cause hearing loss as well. Other symptoms of brain tumors include seizures, falling and unsteady gait, circling. Other Health Issues: Other health problems that could cause hearing loss in dogs include tumors of the middle ear, head traumas and injuries, and cognitive dysfunction in older dogs. Certain medications can also cause deafness in dogs. For example, some antibiotics (e.g. Gentamicin, Neomycin, Streptomycin, Kanamycin) can cause nerve damage resulting in hearing loss. Most dogs with acquired deafness do not lose their hearing totally. Instead, they can still hear certain sounds, especially high-pitched ones. 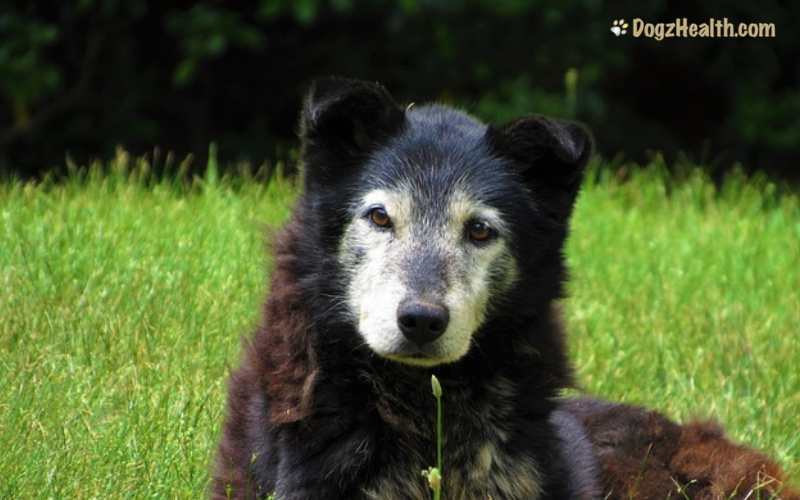 Aging dogs gradually lose their hearing over time. Hearing loss usually begin at around ten years of age. As in acquired deafness described above, most dogs with senile deafness do not lose their hearing totally. They can usually still hear sounds that are of a higher pitch (e.g. a whistle). Dogs with mild cases of hearing loss can function relatively normally. Sometimes the owners do not even realize that their dogs have a hearing problem. Dogs with significant hearing loss are less active and move more slowly and carefully. As they cannot hear, they fail to obey verbal commands. They may be startled if someone approaches and touches them from behind. Hearing tests using an electroencephalogram (EEG) can be done to determine if a dog has hearing loss. It involves a procedure called a brain stem auditory evoked response (BAER) test. Normally, EEG can measure different brain waves invoked by different sound frequencies. If the brain wave pattern shows no change, it means that the dog cannot hear the sound. Unfortunately, deafness cannot be reversed. However, most dog parents are able to communicate well with their hearing-impaired dogs through hand signals, a whistle, or even signals using lights. Don’t approach your dog from behind. As your dog cannot hear you approaching, don’t just walk up to him from behind and start petting him. He might be startled and might respond in an aggressive way. Tell your other family members (especially children) and friends to do the same. A dog who cannot hear is more at risk when walking outside, as he cannot hear approaching cars, bicycles, and other people. Always put the dog on a leash and keep him close to your side. Train your dog to “come” by using hand signal inside the house, and a whistle or light when the dog is outside. If you and your family are vigilant and try to support your hearing-impaired dog, he will live a normal and happy life.